This engine sits on the throne of Mine's Super Response Series with the displacement enlarged to 4.1L while always maintaining focus on response. 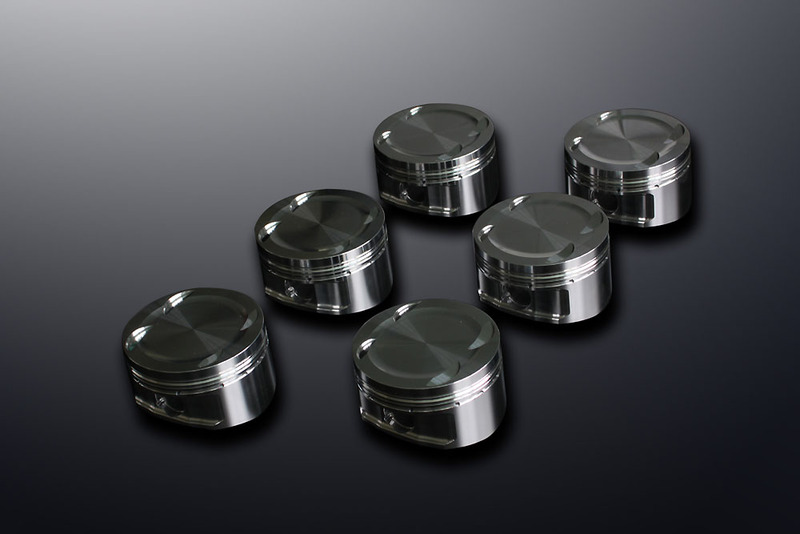 Customized pistons are produced with the perfect balance between the conflicting relationship of strengthening and lightening. By reviewing each and every part Mine's has been able to overcome the demerits of increased stroke and obtained the potential of reaching over 1000 horse power with this engine. By designing the engine without the use of cylinder liners, conditions are easier maintained givin it an advantage against overheating. Rather than specializing in what max speeds can be reached between 0-400m, Mine's ideal engine is of the highest quality that can be obtained on the extension of the street. Drivers can enjoy the feel of becoming one with their car through the engines response reflected directly from the pedal making the car even more fun to drive. 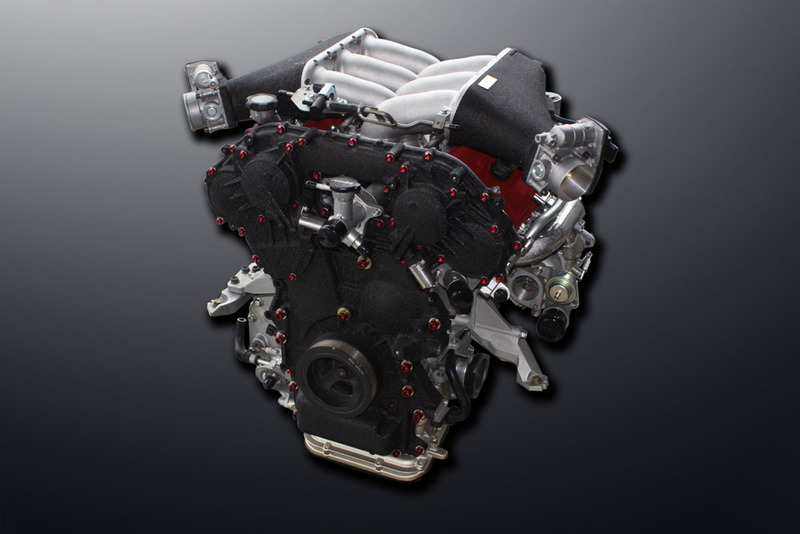 Specially designed with the VR38 engines characteristics in mind, MINE'S went over all aspects from all angles that can come to mind; material, design, dimensions and forging methods. 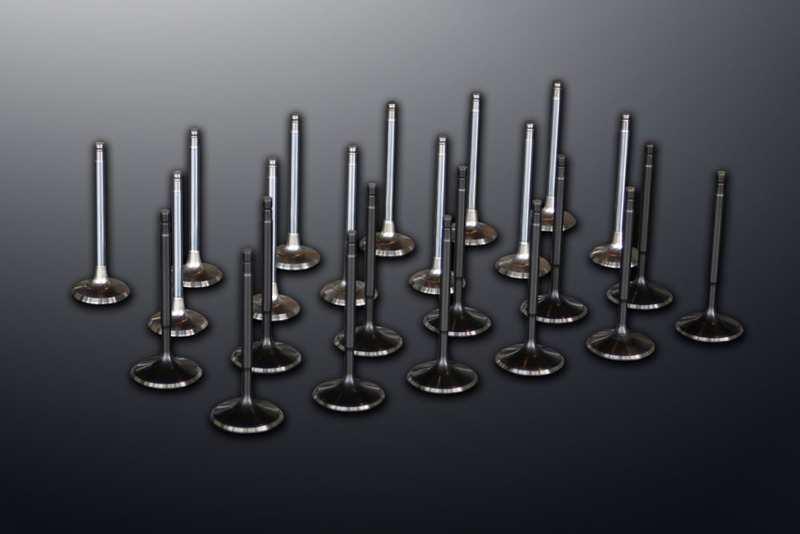 The result were these supreme quality pistons forged from high tensile. These supreme quality H beam conrods are forged from the highest grade steel billets. 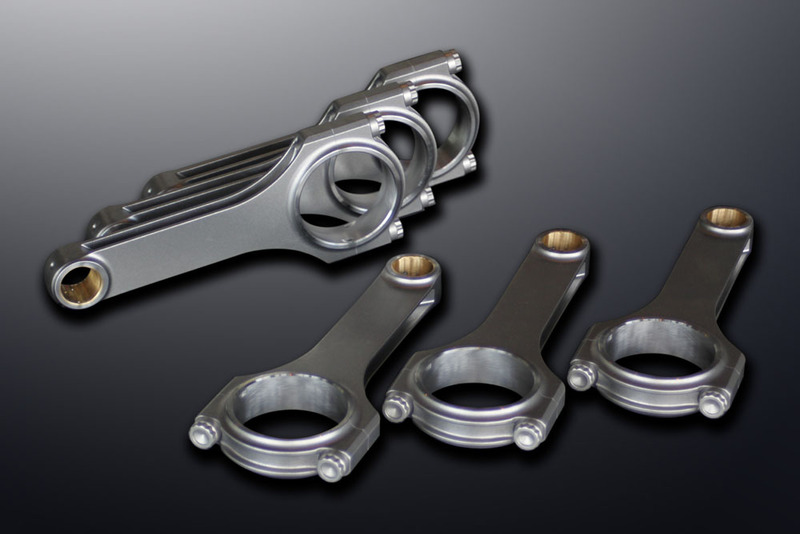 The bearings, lubricity and clearance were all taken into consideration in the design to maintain the best environmental conditions at high RPMs with increased stroke. 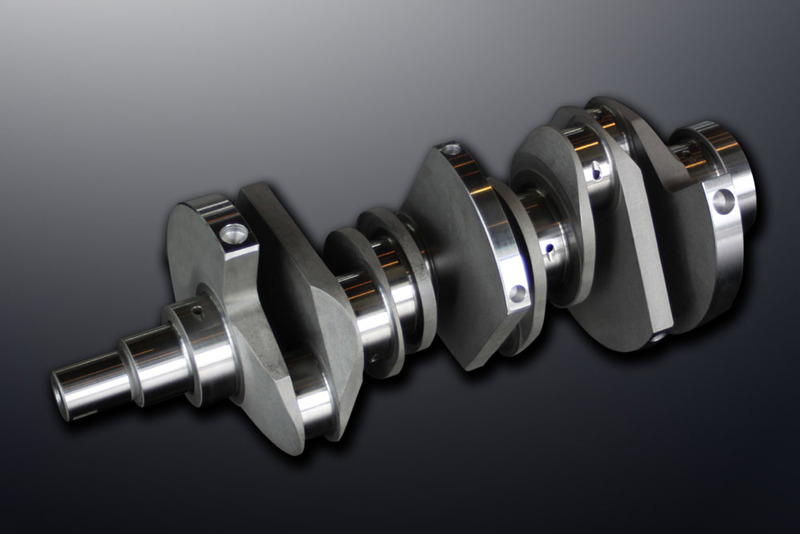 The crank shafts are made with the highest quality steel billet material as a base and CNC machined to exacting tolerances. Thorough friction loss measures have addressed. The journals radius have been incresed to add rigidity at high boost and high rpm. Improvements may be made without notice which may alter the Specifications and Pricing (APR 2012).